Few people know that socially awkward Adrian Hart is actually rock god Kent Downer, and that’s the way Adrian likes it. His privacy is essential, especially now that he has guardianship of his orphaned, ten-year-old niece, Kate. But when the nanny quits in the middle of his tour Adrian finds himself in a bind. 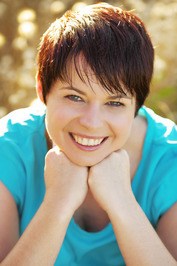 Libby has only ever wanted to become a full-time author and prove to her parents that she can make it on her own. On the surface, the temporary job as the nanny for Kent Downer’s niece looks perfect—the pay is fabulous, the hours are short and Kate is a big fan—it’s the rock star that’s the issue. Arrogant and way too attractive for anyone’s good, Kent Downer has enough swagger to power a small city. But when he’s out of costume he’s different—shy and uncertain. For Libby it’s a far harder combination to resist. She needs to find a balance between work, writing and ignoring her attraction to the rock star, because if she falls for him, it could mean the end of her dream. 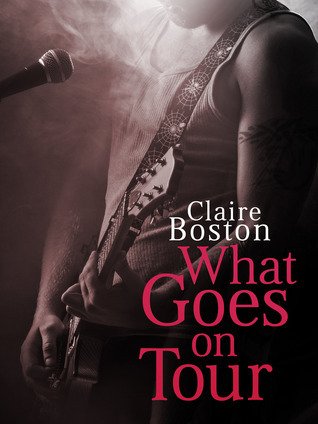 I’m a sucker for a rock star romance and so I immediately said yes when I had an opportunity to read and review What Goes on Tour. In this, Kent aka Adrian is now in charge of his niece, Kate, after a tragic accident. Kate is adorable and quite strong-willed. When Kent goes on tour, he takes Kate with him but needs a nanny for those moments when he’s in concert. Libby, a Young Adult author, finds herself as Kate’s nanny following some interesting turns. Libby and Kent/Adrian definitely have some sizzling moments which build up throughout the story. This is more of a fade-to-black style story but I loved the after moments. I could feel the connection between Libby and Kent/Adrian. I also really loved the connection between Libby and Kate. It was sweet and pure. Unfortunately, both Libby and Kent/Adrian have some pasts that leave them a bit wary and broken which impact the potential relationship. Overall, I found this to be a wonderfully sweet story. One of the moments I really loved was seeing Libby overcome one of her fears (yay! )…I have the same fear and I swear I was right there with her! I also really loved the way Claire Boston brought in family, friendships, writing, and dreams into her story.